Without a doubt, Pennsylvania Amish Country has many attractions that consistently draw locals and tourists alike. Those interested in the Amish lifestyle, Amish crafts and, of course, some tasty Amish food flock to the area. But what about when you’re visiting and want to do something outside the world of the Amish. Are there other kinds of activities for tourists? The answer is definitely yes. 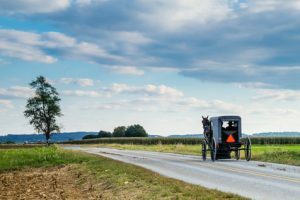 Those looking for the best of Amish Country will want to check out these five fun destinations in our article on the very best activities in South Central Pennsylvania. 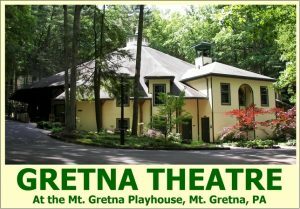 Deemed “Broadway in Your Backyard” the Gretna Theater in Mount Gretna Pennsylvania is a real treat. This historic theater was launched back in 1927. Professional actors put on some impressive shows at the Gretna Theatre. In the past plays such as Neil Simon’s Biloxi Blues and Brighton Beach Memoirs to Cervantes’ Man of La Mancha and more have graced the stage at the Gretna Theatre. Gretna Theatre has the distinction of being of only a handful of professional theatres in South-Central Pennsylvania. The impressive open-air pavilion-style venue seats over 700. Click here to check out Gretna Theatre’s website. If you are looking for a truly unique and unforgettable experience that makes you feel like you’re traveling back in time, then you’ll want to check out the Pioneer Tunnel Coal Mine and Steam Train. This guided tour takes visitors into a real anthracite coal mine. Cars are pulled via a battery operated mine motor. The steam train ride features a Henry Clay built steam locomotive that was constructed in 1920. The train ride enjoys many breathtaking views and lasts for approximately 30 minutes. Click here to learn more about Pioneer Tunnel Coal Mine and Steam Train. Snow tubing anyone? There are some major benefits to visiting the Pennsylvania Amish country during the winter months. Snow tubing can certainly be a thrilling day spent outdoors. The AvalancheXpress Snow Tubing at Heritage Hills Resort is every bit as fun as it sounds. There are multiple downhill runs which include the “Xtreme” lanes. But if you are not an experienced tuber ready to tackle the “Xtreme” lanes don’t worry as AvalancheXpress Snow Tubing also has slower moving lanes and even lanes designed specifically for children. 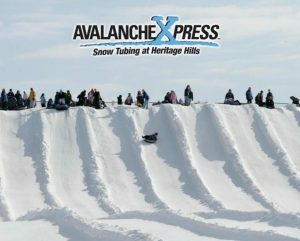 If you want to enjoy some great outdoor winter fun then check out AvalancheXpress Snow Tubing at Heritage Hills by visiting their website. For those traveling with children or people just looking to blow off some steam and have a great time, Amish Country has just what you need. Kids across the age spectrum will love Go ‘N Bananas. This attraction is the go-to location in the region for those looking for a wildly diverse array of fun activities. At Go ‘N Bananas, visitors will find many diverse activities. Stating that Go ‘N Bananas is loaded with things to do is a major understatement. If you are in the mood for bowling, Go ‘N Bananas has you covered with its Mini Bowling lanes. There is also two areas dedicated to laser fun: Laser Tag and Laser Mazes. The Laser Mazes uses lasers, mirrors and haze to challenge visitors to make it from one end of the maze to the other. 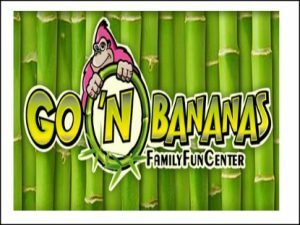 Go ‘N Bananas’ Laser Tag is a state-of-the-art facility that uses multi colored LED vests and phasers with color laser beams. The 3,800 square feet area is filled with haze, lit with black light and is equipped with an art lighting and sound system. There is fun for up to 24 people on two levels. Other fun areas include the bumper car Spin zone area, the Game Zone which features such classics as skee-ball and even a Toddler Zone created specifically for safe toddler fun. Learn more about Go ‘N Bananas which is also available for birthday parties by visiting the Go ‘N Bananas website. Thistle Finch Distillery is Lancaster County’s only operating distillery. Located in what was the Walter Schnader Tobacco Warehouse, the building is on the National Register of Historic Places. There are tours available and free samples. There is no reservations required to visit the tasting room and distillery. At Thistle Finch Distillery, you’ll find everything from whiskey by the glass to cocktails and more. You can even buy bottles of award winning White Rye Whisky, Penn Square Vodka and Market Alley Gin. Thistle Finch Distillery’s whiskey is made from locally sourced grained and in small batches. 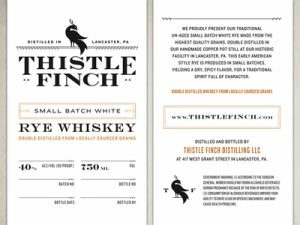 In fact, 90% of Thistle Finch Distillery’s whiskey is made from grains coming from Lancaster and Lebanon counties in Pennsylvania. Adding further distinction of their whiskey is the fact that their whiskey is a unique grain bill of 60% rye, 30% wheat and 10% malted barley. Additionally, the whiskey is made in a hand-constructed copper pot still. All of these factors add up to help create a truly memorable whiskey. Tours are given on Saturday at 1:00pm, 2:30pm and 4:00 as well as Sunday at 1:00pm. Learn more about this unique distillery by visiting Thistle Finch Distillery’s website. Amish Country has much to offer. While we have covered five great entertainment and educational options, there are actually many more. The attractions we’ve looked at in this article truly only represent a fraction of what Amish Country has to offer. This is a very beautiful area that will be exciting to explore any time of year. 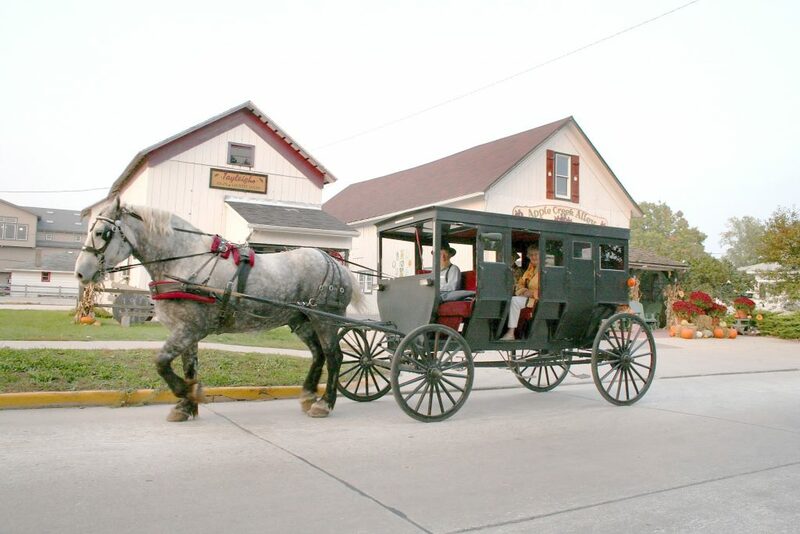 The simple fact is that Amish County is loaded with so much to do that it is difficult to keep track of all the options. When you visit the Lancaster region of Pennsylvania, you will be impressed by the diversity of the area and the friendliness of its people. When you think about watching YouTube videos, you may not immediately think about the Amish. Traditionally, the Amish shy away from digital technology. But with that stated, however, the there are many good Amish related videos on YouTube. If you’re looking to gain insight into the day to day life of Amish people, videos are a great place to start. Just as YouTube is a source of learning and information on a range of topics, the same holds true for learning more about Amish life and Amish culture. No matter what aspect of Amish life you are interested in learning more about, the odds are excellent that YouTube stands as an unexpected source of information. In this article, we will take a closer look at some of the best Amish videos on YouTube. You’ll find that the diversity of these videos is surprising and impressive. Amish barn raising is somewhat legendary. 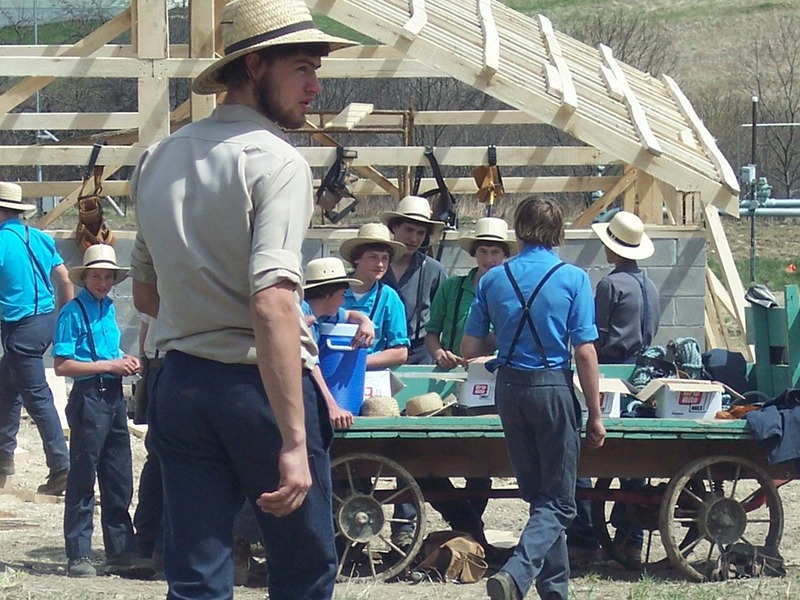 The ability of the Amish to work together to quickly build a barn is an impressive feat. But have you ever seen one happen before your eyes? In May 2014, the Amish raised a large barn in Ohio. Not only did the Amish complete the building of this barn in one day, but most impressively they built the barn in a shocking 10 hours. It is important to note that the barn they built was not a small barn, but was in fact, a large and impressive structure. 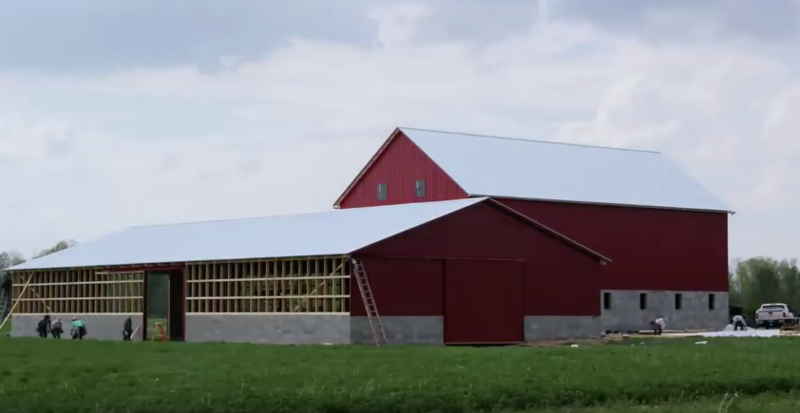 In the following YouTube video, you can 1600 pictures were taken and then assembled into a video showcasing the entire barn building process. 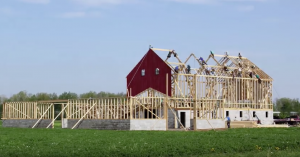 Nobody builds a barn like the Amish and this video backs that assertion up! To date, this excellent video has over 3 million views and growing. There are lots of misconceptions about the Amish. There are, however, several good YouTube videos that clear up those misconceptions and even provide overlooked information. This video from the YouTube channel Geobeats does an excellent job of outlining what the Amish do and do not believe. Best of all this short video packs a lot of information into just two short minutes. Here are some of the key facts that the Geobeats video points out. -The Amish have their own language. -Attending school beyond the 8th grade is rare. -Beard growing doesn’t happen until after marriage. -Amish brides make their own dresses. -The public energy grid cannot be used. -The Amish don’t believe in insurance. -The Amish pay taxes, but don’t pay into the Social Security system. Instead, the Amish believe that it is the responsibility of the community to care for one another. Another interesting video about the Amish comes from the YouTube channel TopTenz. 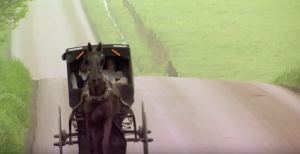 This comprehensive video features a brief history of Amish culture. It covers the persecution of Amish in Europe as well as the difference between the Amish and the Mennonites. The various differences between these two groups of people is covered quickly, but with a good level of detail. Information about Rumspringa and Amish music is covered as well. In this video, one interesting fact that is explained is that the Amish don’t play musical instruments. Other little known aspects of Amish culture are also covered, for example, children play with faceless dolls. Another little-known aspect of Amish culture, the fact that they don’t pose for pictures, as this goes against their religion. Also covered is the fact that the Amish don’t embrace many forms of technology as they fear that it will lead to assimilation. Health aspects of being Amish is discussed at length including the genetic problems the Amish face as well as the fact that the Amish have lower levels of cancer, diabetes and cardiovascular disease. 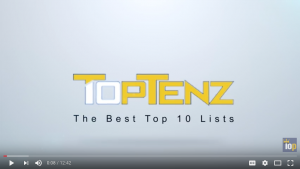 Overall, this video from TopTenz is both informative and respectful. If you have ever wondered why Amish men wear beards instead of moustaches, then you’ll love Today I Found Out’s, “Why Do Amish Men Wear Beards But Not Moustaches?” Many facts about why the Amish wear beards is covered in this comprehensive video. 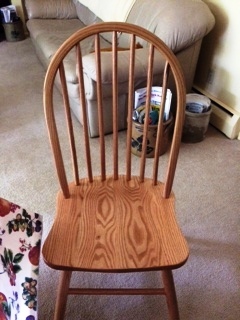 If you’ve been reading our blog, then you know that one topic we love to cover is Amish cooking. For those interested in learning more about Amish recipes, YouTube has much to offer. At the top of many people’s list of great dishes is the whoopie pie. It’s a dessert that is seldom found outside Amish communities. This famous pie is made simple with this informative Amish whoopie pie cooking guide. This great video features an easy how-to for a chocolate whoopie pie. As you discover from this video, making this treat uses a fairly simple recipe that is also fairly diverse, as there are many different kinds of whoopie pies including red velvet. 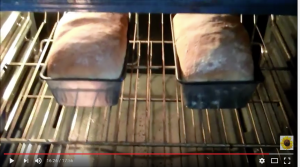 In How to Make Amish White Bread, you can learn how to make famous Amish white bread. Much like the chocolate whoopie pie recipe, making Amish white bread is fairly simple. Amish cooking typically relies on using fresh and tasty ingredients. Both of these recipes showcase just how amazing Amish food can be. People who visit Amish country consistently walk away with a deep appreciation for Amish cooking. 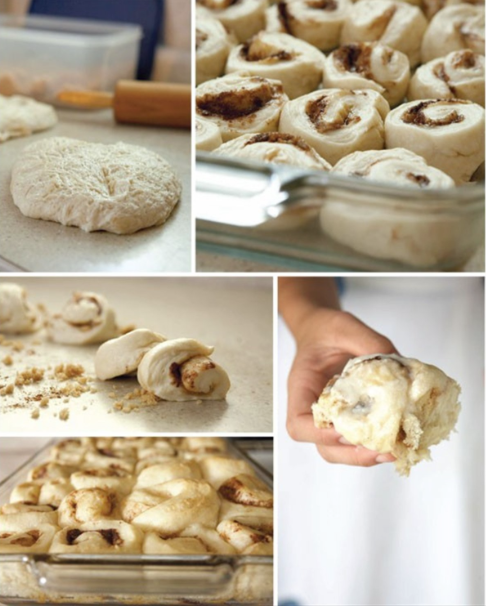 Try these two easy recipes at home, and you’ll see firsthand why so many love Amish cooking! Ultimately, YouTube is a shockingly good source of information about every aspect of Amish culture. Whether you want to know more about the history and roots of the Amish or what daily Amish life is like, YouTube content creators have created countless videos on the subject. In this way, YouTube stands as a useful tool to increase understanding and awareness regarding the Amish and their way of life. 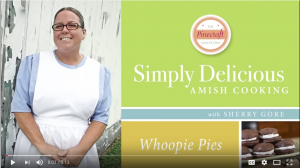 So sit back, grab a cup of coffee and enjoy some of these Amish videos. You’ll have a little fun and learn something at the same time. And in the process, you’ll definitely learn how to make a pretty tasty whoopie pie. If you are familiar with Amish cooking, then you already know that it is really something special that should be treasured. Amish cooking isn’t about blending a wide range of ingredients. Instead it focuses on utilizing a small number of ingredients and blending them with harmonious results. Add to that the fact that Amish cooking also focuses on using the freshest ingredients and the end result is something uniquely yummy. Many who experience real Amish cooking for the first time fall in love. In fact, this kind of cooking and preparation is so loved that there is a real demand for Amish cookbooks. 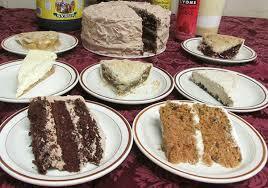 It is one thing to read about great tasting Amish food and quite another to make your own Amish delights. While there are many on the market, some are obviously going to be better than others. Let’s take a look at the 5 of today’s very best Amish cookbooks. 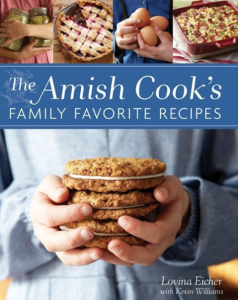 In making our selections, we looked for Amish cookbooks that were not just authentic, but also feature recipes that are easy to make and understand. Plus, if you’re not living in an Amish community, it is important that the foods are practical to make. You probably don’t have all day to pick berries or wait for dough to rise. The fusion of elegant simplicity and fresh, hearty ingredients combine to create a unique dining experience. Armed with an Amish cookbook of your own, you’ll be able to repeat these classics whenever you like. 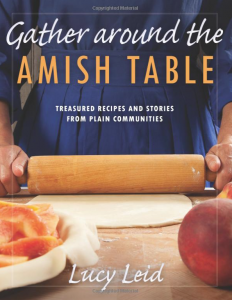 While “Around the Amish Table: Treasured Recipes and Stories from Plain Communities” by Lucy Leid may have the word “plain” in the title there is nothing plain about how these recipes taste. Quite to the contrary, the classic Amish recipes featured in “Around the Amish Table” are sure to brighten up any meal. Whether you are looking for whoopie pie, pecan roll, cocoa cupcake recipes or a whole range of other food options you’ll want to check this impressive and diverse book out. The recipes in this book come from both Amish and Mennonite kitchens and experienced cooks. We also liked the helpful notes on the ingredients and terms that are being used in the recipes. If you don’t yet know what things like “occident flour” or “clear jell” are yet, this resource will lend you a helping hand. Part of what makes this cookbook unique and something of a standout among Amish cookbooks is that it includes true stories as well as well as beautiful photos of Amish farms and foods, helping to make Around the Amish World feel like more than just another cookbook. “The Amish Cook’s Family Favorite Recipes” by Lovina Eicher stuffs a lot of goodness into its pages. Featuring over 300 recipes, this recipe book is about helping you create, craft and enjoy a surprisingly wide variety of very authentic Amish food. This book focuses on helping you create big and hearty meals, such as Corn Casserole and impressive desserts such as the mouth awakening Sourdough Cinnamon Rolls or the ridiculously tasty Maple Drop Cookies. 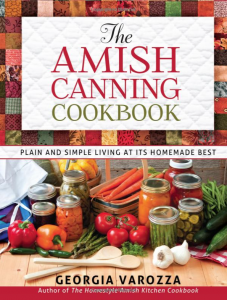 “The Amish Canning Cookbook” offers something special for our list of the top 5 Amish cookbooks. In addition to being a wonderful cookbook, The Amish Canning Cookbook, dives into the increasingly lost art of canning. You will get a basic, easy to understand and follow exploration of canning and what is needed to get started on your own. She also goes over some of the health benefits of canning, which include avoiding BPA and avoiding preservatives. In addition to canning basics there are, not too surprisingly, many recipes for everything from soups and sauces to canned fruit and vegetables and more. 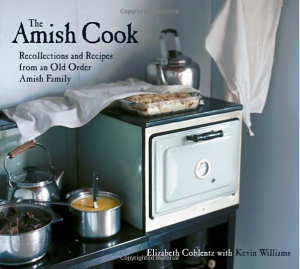 “The Amish Cook: Recollections and Recipes from an Old Order Amish Family” by Elizabeth Coblentz and Kevin Williams may not feature as many recipes as some of the other books on our 5 best Amish cookbooks list, but it is still a fascinating and worthwhile addition to our list due to its diversity. In addition to the 75 recipes in this book, there are also everything from gardening tips to Amish stories and tips and facts regarding Amish life. You will also enjoy this book’s beautiful and vibrant photos. 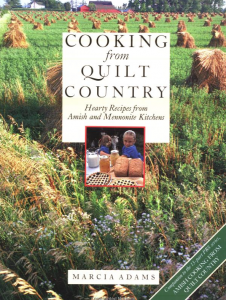 “Cooking from Quilt Country: Hearty Recipes from Amish and Mennonite Kitchens” by Marcia Adams features a full 200 recipes. It was originally published in 1988, and it certainly holds up quite well today. The recipes in this book are known for being easy to make, while offering a wide variety of types of foods. Simple ingredients, such as flour and butter, are used to create some pretty amazing and tasty creations. In short, this is one of the best books out there to learn more about Amish cooking and is a must for beginners. Together these 5 Amish cookbooks represent a comprehensive look at Amish recipes and cultures. Any of these selections will help you discover some winning, easy to make recipes. Plus, you can do it from the comfort of your own home without having to travel to Lancaster or another region where Amish people are prevalent. You, your family and your friends will all enjoy what these well thought out books have to offer! How Do the Amish Approach Healthcare? The Amish have definitive views on healthcare. In the eyes of the Amish people, God is the ultimate healer. As a result of this view, many Amish do not opt for modern healthcare practices. In addition, it is common for the Amish to be uncomfortable with and actively avoid settings where technology is a key component. The Amish view of modern healthcare has many implications. At the top of the list of those implications is the fact that the Amish are more willing and more likely to suffer with medical issues. The idea of “routine” test and medical treatments are not viewed by the Amish as being routine in any way. Let’s take a more in-depth look at how the Amish approach different aspects of medical care and health. One major factor in the Amish approach to healthcare is that that Amish frequently don’t have insurance. The reason for this is that insurance would make them rely less on their community, which is an important cornerstone concept in the Amish world. 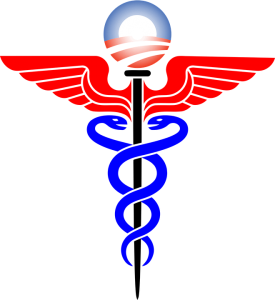 Further, they have been exempt from Obamacare. In Amish culture, when someone becomes seriously ill, the appropriate route is for community funds to be used to help that person. The church will often pay expenses and bills during bouts of serious illness. 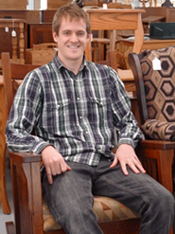 The idea is that the individual can rely on the Amish community in the time of need. This value is key when it comes to understand the Amish people’s view on healthcare. However, insurance and the way that the modern healthcare system functions are counter to this approach and philosophy. Many of what those outside of the Amish world would consider “basic healthcare” simply does not exist in the Amish world. Some of the most striking differences include the following: the Amish do not use birth control, use no special prenatal care and typically opt for no vaccines. Again, the core concept is that God is the ultimate healer and guider of health outcomes. In short, humans should not use technology to intervene in God’s plan for their health outcome. 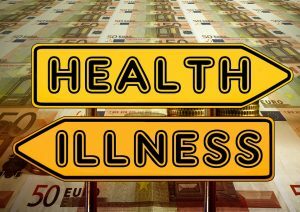 All of this is not to state that the Amish do not take steps to alter the course of health outcomes, as they do take often take steps in many cases. It is only that those steps typically do not directly use technology. Some of the healthcare steps that the Amish are willing to accept include vitamins, chiropractic, homeopathy and reflexology. In fact, some Amish even run health food stores in their communities. The dedication to the principle that modern healthcare should be avoided usually runs deep in Amish culture. A prime example of this is that fact that often the Amish elderly and the sick will often even refuse emergency medical care. Additionally, many Amish will often seek unorthodox medical treatments outside of the country. As stated above, the requirements and regulations of Obamacare do not apply to the Amish people, Mennonites or Hutterites. As a result, the Amish, Mennonites and Hutterites do not have to pay the Obamacare penalty for not having insurance; this is also true for some members of Native American tribes. The reason behind this goes back to a 1965 when Congress allowed the Amish, Mennonites and other religions to opt out of Social Security, Medicaid and other government benefits. 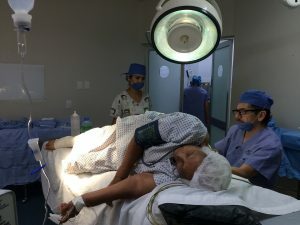 Often, those falling into these designated groups have benefits cards indicating that they are a member of one of these communities, as this helps hospitals keep track of various important detail in emergency situations. Many researchers are studying the overall Amish approach to health and have found many reasons for why the Amish tend to be healthy. 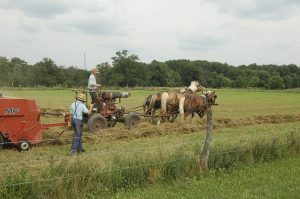 Since the Amish are outside working on farms, they are getting more exercise than the non-Amish on a daily basis. Medical science has clearly proven a link between exercise and overall positive health, and the Amish usually get a good deal of exercise working the land. In addition, studies have shown that exposure to the microbes in the soil have positive health benefits. Those benefits include everything from boosting mood to reducing the incidents of asthma and other health issues such as reduced incidents of allergies. In fact, the Amish are being studied in an attempt to determine why they suffer from lower incidences of allergies than the non-Amish. Currently, the leading theory is that they are exposed to a wider array of bacteria from their proximity to the soil and farm animals. Amish people also tend to have a healthier diet than the non-Amish, as they are eating lots of fresh, locally grown foods rather than consuming a diet full of fast food and preservatives. So while the Amish are shying away from modern medical care, the good news is that they do have a lot of positive factors working in their favor. How Will the Amish Handle the Medical Revolution Now Upon Us? Ultimately, the Amish approach to health isn’t a one-dimensional approach. Like so much about the Amish, the Amish approach to medicine and health is a multifaceted one with many variables and considerations. In general, the Amish tend to be a healthy group of people. 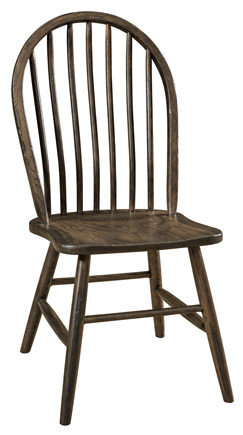 In fact, their labor intensive lifestyle means that they are often more fit and durable than their non-Amish counterparts. It is difficult to determine if the Amish will embrace modern healthcare in the future. New and incredible healthcare advancements such as organ cloning and even longevity treatments are moving out of the realm of science fiction and squarely into science fact. Gene therapies, stem cell treatments, nanomedicine and other medical wonders are becoming reality with shocking speed. Refusing these potentially wondrous medical breakthroughs could present a real challenge for the Amish in the next twenty to thirty years. The Amish love food and it shows. The love of Amish food is about more than the foods that they actually prepare. When exploring the savory delights of the Amish world, it is important to take a step back and look at the whole picture and not just the process of preparation. Amish food isn’t just about following steps and recipes. The delicious results of Amish cooking is, in part, the result of a concrete strategy, one built around cultivating the best ingredients. In Amish cooking there is an emphasis on using fresh ingredients. People who try Amish food for the first time are often quite surprised by the vitality and richness of the food. One of the reasons for this fact is that for people used to eating processed foods and fast food are not accustomed to eating genuinely fresh food. Most fast food and processed food is largely devoid of nutrition, and this leaves the body craving more food in a quest to get the nutrition it needs. Amish food, with its emphasis on healthy, fresh and real ingredients, provides the body with a meal that leaves diners feeling full and satisfied. The end result is a true, and memorable, food experience. Let’s take a closer look at 5 of the best Amish restaurants and what it is that makes these restaurants such great examples of Amish cuisine. Discussing Amish food and Amish restaurants usually leads to Lancaster County, a hub for all things Amish. A standout Lancaster County, Amish restaurant with an excellent reputation is Dienner’s Country Restaurant. 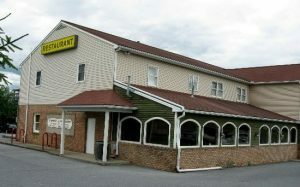 Well-known and well-loved, Dienner’s Country Restaurant is seen as a go-to spot in Lancaster Country for Amish dinning. The Yelp reviews for this popular spot are consistently good. Part of what makes Dienner’s such a favorite and worth your time is its large buffet. Dienner’s serves breakfast, lunch and dinner buffets that are reasonably prices ranging from about $11 to $13 dollars and includes everything from such stables as eggs, bacon and sausage to biscutis, girts and pastries for breakfast. The lunch menu consists for an array of chicken and fish dishes, vegetable platters and more. For dinner, the menu features burgers, fish and chicken dishes such as rotisserie chicken and a surprising array of side dishes such as mashed potatoes, onion rings and more. Again, like all Amish cooking, the Dienner’s approach is to provide dinners with simple and rich food. 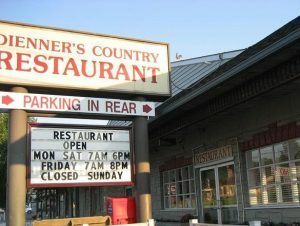 Learn more about Dienner’s Country Restaurant by visiting their website by clicking here. 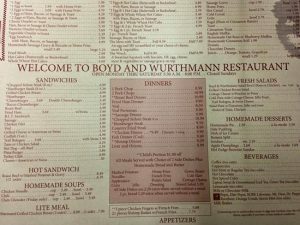 Boyd & Wurthmann began as a grocery story in the 1930s, but from that beginning has expanded to include a Amish style restaurant providing breakfast, lunch and dinner. Located in Berlin, Ohio, Boyd & Wurthmann use employ real Amish cooks to ensure authentic Amish cuisine. One of Boyd & Wurthmann’s specialties is homemade pies. In fact, they have anywhere between 15 to 20 different types of pies ready to go! If you have a sweet tooth, then you’ll find that Boyd & Wurthmann’s is a true treat year round. For breakfast, diners can expect everything from eggs, omelets and hot cakes and more. On the lunch and dinner menus pork chops, country fried steak and homemade chicken noodle soup are all on the menu. You won’t forget what Boyd & Wurthmann has to offer. Click here to learn more about this this Berlin, Ohio legend. Like Boyd & Wurthmann, Mrs. Yoder’s Kitchen is also located in Ohio. Located in Mt. Hope, Mrs. Yoder’s Kitchen is what Amish food is all about. Founder Gloria Yoder, who actually grew up in Mt. Hope, fell in love with Amish cooking. The approach is centered on providing guests with traditional Amish meals, but there are also other options as well. Egg and chicken dishes are popular on the menu. The Mrs. Yoder’s Kitchen website even features recipes for pumpkin pie and more. 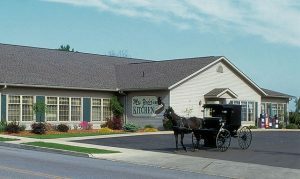 Hometown Kitchen, whose motto is “The Restaurant with Amish Cooks!” like Dienner’s Country Restaurant, is also located in Lancaster County. As their motto indicates, dinners can expect lots of tasty traditional Amish recipes. Hometown Kitchen’s offerings range from homemade chicken pot pies to roast beef dinners, homemade breads and even an assortment of traditional Amish desserts such whoopie pies and shoofly pies. Located in Quarryville, Pennsylvania, Hometown Kitchen is a great example of Pennsylvania Dutch cooking and includes some real surprises such as chicken cordon bleu, which is a Monday special. Click here to learn more about Hometown Kitchen. 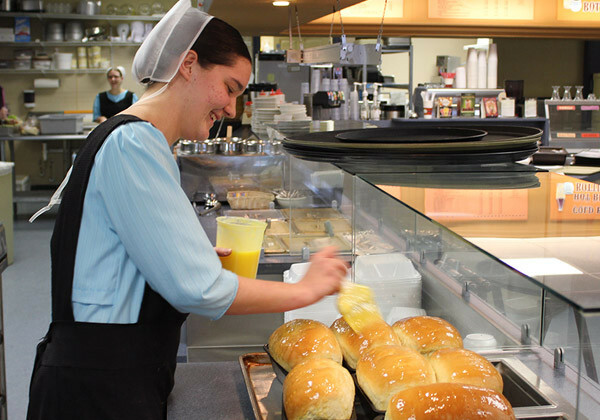 Located in Lititz, Pennsylvania, Lititz Family Cupboard Restaurant & Buffet is a unique Amish food offering. The restaurant’s goal is to offer authentic Pennsylvania Dutch cuisine and a variety of made-from-scratch dishes. The diverse menu is great for those who want to experience Amish cuisine while having other food options available as well. The breakfast menu features omelets, pancakes, French toast, Belgium waffles and more. 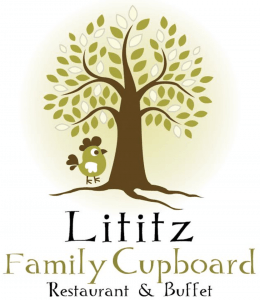 Learn more about Lititz Family Cupboard Restaurant & Buffet by clicking here. The blend of great recipes and the best, freshest ingredients helps Amish food stand out. 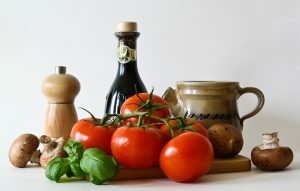 It is no accident that many people who try Amish food ultimately make changes in their approach to food and begin incorporating fresher ingredients into their cooking and their diet. The five restaurants featured in this article are, in fact, only a small slice of what Amish cuisine has to offer. Amish cuisine is diverse, but dinners can always expect a hearty meal that is both nutrition and flavor packed. 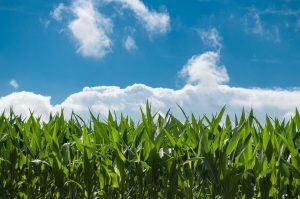 What Can the Amish Teach Us About Allergy Remediation? For those who suffer from allergies, an average day can seem like anything but, well, average. Regardless of the source of allergies, suffering can be quite pronounced. Finding relief of any kind can be highly elusive. There are many theories behind why the immune system responds and creates allergies. Medical science is working on improving how we treat allergies, and a safe way to largely eliminate the symptoms of allergies may someday be possible. However, for now, those of us who suffer from allergies are sadly stuck. Research into the world of allergies has taken scientists in some unexpected directions. One of the directions researchers are exploring is why allergy rates are generally so low among the Amish. Amish culture and society is built around a different set of approaches and principles. 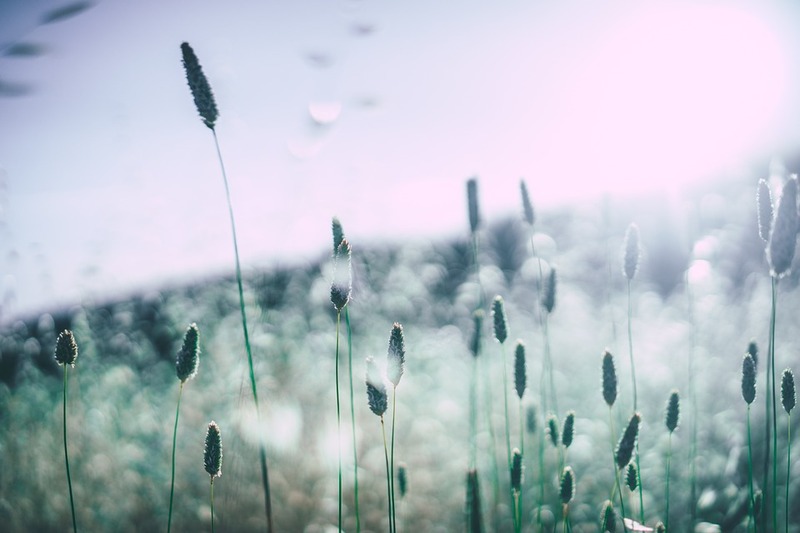 Summed up another way, the Amish do things differently, and researchers have discovered that this fact has some substantial implications for allergies. Studies have been conducted examining children raised in rural Indiana. The reason for these studies is that these children suffer from lower levels of allergies and asthma. The evidence is impressive and intriguing. According to 2012 Reuters article, a mere 5% of Amish children suffer from asthma. 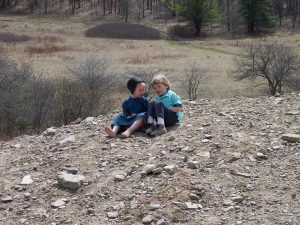 A study compared Amish children with Swiss farm children and Swiss children living in urban settings. The results were startling. While the Amish children had a 5% incidence of asthma, the Swiss farm children percentage was 6.8% and the Swiss urban children rate of asthma was significantly higher at 11.2%. Looking at these numbers, it seemed safe to conclude that some factors, such as growing up on a farm, was playing a role in halting the development of asthma. The results were similarly impressive, as the Amish children had allergies about 7% of the time, whereas the farm-raised Swiss children had allergies 25% of the time. 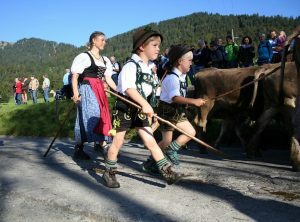 Urban dwelling Swiss children suffered from allergies 44% of the time. While no one is yet sure as to the source of these profound statistical differences. Many believe that the answer may have to do with exposure to microbes. By comparison to life in urban centers, life on farms is full of exposure to a greater number of microbes. 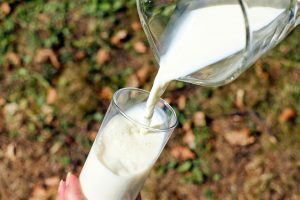 After all, children on farms come into contact with cows, drink raw milk, are around various kinds of animals and animal feces, and the list goes on and on. Simply stated, farm life is dramatically different from city life, especially where microbe exposure is concerned. Scientists and researchers are also considering that there could be genetic differences at play here as well. In particular, researchers are looking into whether or not the smaller gene pool of the Amish is playing a role. 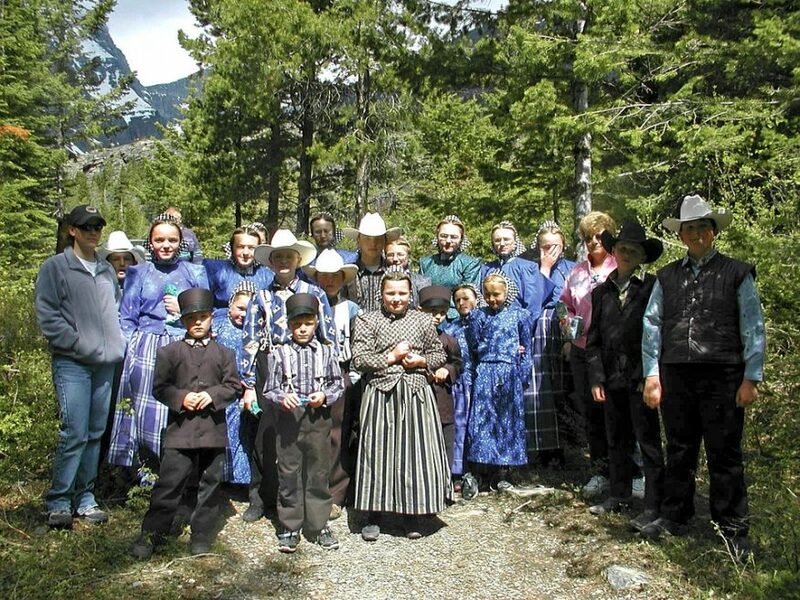 A new study in The New England Journal of Medicine compared the Amish of Indiana with Hutterites living in the Midwest, who also have German ancestry. Importantly, the Hutterites tend to keep their animals miles away from where they live. By contrast, the Amish keep their cows and other animals close to their houses. In Hutterite communities, only adult men work with cows. Whereas Amish children work with cows from a young age and even play nearby. The study found that the Hutterite children have about the same levels of allergies as the typical American child. While this is not conclusive proof, it does strongly support the notion that the elevated level of microbe exposure that the Amish enjoy may indeed be reducing overall allergy levels. Parents of children suffering from allergies may want to consider the ramifications of these findings. For example, spending more time outdoors, particularly in parks and other natural surroundings, looks to be a surefire winner. Not only does spending more time outdoors boost vitamin D levels, but it also can serve to boost microbe exposure and, in the process, potentially decrease childhood allergies. Encouraging children to spend more time in healthy dirt is likely a very good step in the right direction. Of course, the optimal word here is “healthy” dirt. Having children play in your backyard, forests or the dirt in parks (that are known to be low in pesticides) is likely safe and healthy. Just keep in mind that the dirt in many urban settings may be contaminated with heavy metals, such as lead from industrial pollution, and even car exhaust left over from from when gasoline contained lead. 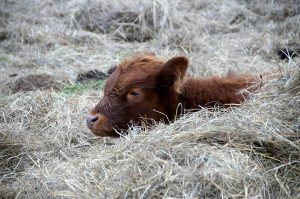 While living next to cows might not be that practical, there are many other steps that can be taken to take advantage of potentially beneficial microbes. Four thousands of years ago, our ancestors weren’t just spending time outdoors, but were in fact, were living outdoors. Around 10,000 years ago our ancestors began the process of farming and raising livestock and the human relationship with dogs appears to go back at least 40,000 years. For millennia, humans have lived in close proximity with both animals and natural. It is only in the past century that the bulk of humans have shifted away from this microbe rich existence to one that is far cleaner for a lack of a better term. However, in the end, this new found level of cleanliness may not be as beneficial as we once believed. 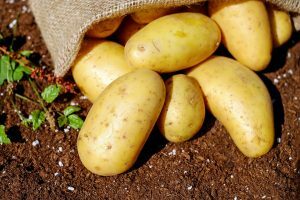 Returning to the soil and getting some dirt under our fingernails may be even more beneficial than we ever suspected! The Amish live a different way of life and can provide us with a range of different approaches to how we live our lives. The traditional wisdom of the Amish can provide us with tremendous insight into how we should approach health. Let’s take a closer look at five of the top health tips that we can learn and how best to incorporate those tips into our day to day lives. 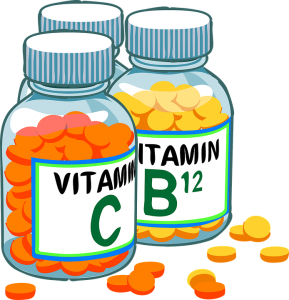 Vitamin D is a tremendously important vitamin and essential for good health. Modern medical science has shown that there is a link between vitamin D and everything from strong bones and a enhanced immune system to lower incidents of diseases including cancer. 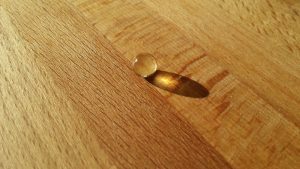 Nature has decided that vitamin D is so important that it is the only vitamin that the body can actually manufacture on its own. However, in order to manufacture vitamin D, direct sunlight exposure on the skin is a must. Sunlight is converted by cholesterol in the skin into vitamin D.
It goes without saying that the impressive amount of time that Amish people spend outdoors contributes to an increased intake of Vitamin D. This is in stark contrast to the tendency that so many modern people have to largely spend their time indoors on their computers or handheld devices. Medical studies are pointing to the fact that low levels of vitamin D may be making people sick in a surprising number of different ways, ranging from weakened bones to an increase risk of multiple sclerosis, and the list goes on and on. Scientist have been somewhat surprised to learn that spending time outdoors has a surprising benefit when it comes to boosting mood and lowering rates of depression. People regularly exposed to good bacteria in soil experienced a general increase in their sense of well-being. Over the millennia, humanity has evolved to benefit from contact with soil. 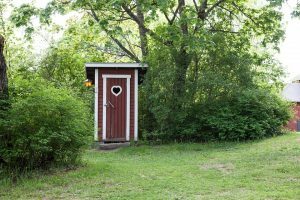 Regular contact with soil and beneficial organisms that get kicked up into the air can produce health and even mood boosting benefits. The Amish spend a great deal of time working the land and growing crops. As a result, they are almost constantly in contact with the land and the dirt; this helps increase immunity, improve mood and more. Farming, in addition to exposing people to beneficial microbes and boosting vitamin D levels, has another benefit in that farming means physical activity. Instead of sitting at a desk all day, the Amish are often outside and working the land. Working the land means building, lifting, carrying, tons of walking and manual labor. The Amish way of life is a very different way of life and it comes many health benefits that anyone can enjoy. While you don’t have to start farming tomorrow, keep in mind that that Amish don’t have gyms or health clubs. Yet, they enjoy a far greater overall level of health than the average non-Amish citizen. The Amish grow their own food and utilize ancient techniques for keeping the soil rich and healthy. One of the key results of this approach to food is that Amish grown food is nutrient dense and farm to table fresh. They largely consume food that was recently grown and picked, rather than food that has been sitting on shelves for days or even weeks. This lifestyle comes with big benefits. A primary benefit of farm to table fresh food is that it is nutrient dense food. Much of the nutritional value of store bought food is lost by the time it reaches your table. The average consumer can minimize this problem to an extent by joining a CSA (community supported agriculture). A CSA brings food directly from the farm to consumers; this food is far fresher than food bought in conventional grocery stores. By joining a CSA, you can get a small taste of what Amish food is like. It is important to note that the Amish diet is devoid of many of the ingredients that are adding to health problems and obesity in the non-Amish population. Chemicals, preservatives, artificial sweeteners and other toxic food compounds are essentially unknown in Amish life. There are no Amish fast-food restaurants and this is reflected in the overall health and well-being of the Amish community. One of the key reasons that the Amish are healthy that the general U.S. population is that they simply don’t smoke. Smoking is viewed as being horrible for the body and the Amish, in general, avoid smoking. 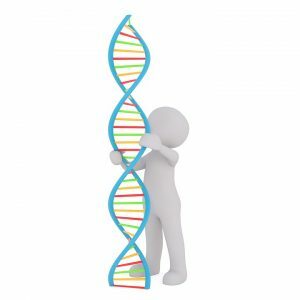 Like fast food and foods with preservatives and additives, smoking and drinking also damage DNA. 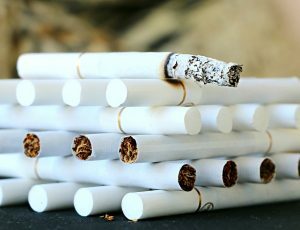 Smoking, for example, is extremely harmful to one’s health as the typical cigarette is a carefully designed mixture of toxic compounds specifically designed to be addictive. Simply stated, the Amish lifestyle is different. However, hidden within that lifestyle are many health boosting habits and approaches that non-Amish everywhere can adopt and call their own. While you might not be able to go and live on a farm and grow your own food, there are many steps you can take. It may be possible for you to grow a small percentage of your own food, for example, herbs or a few tomato plants. Also like the Amish you can avoid fast-food and processed food and seek out as much organic farm to table food as possible. Many of us may view the Amish lifestyle as being a thing of the past. But when it comes to the future of health and well-being, the Amish seem to be well ahead of the modern curve. How Do Modern Pressures Impact the Amish? The Amish have a different way of life. As part of maintaining their lifestyle, the Amish renounce much of what most people would call “modern society.” But there is no doubt that Amish people face modern pressures. How do they respond to them? What Do the Amish Know About the Outside World? It is important to note that just because the Amish are living a different lifestyle that does not mean that they are unaware of the modern world and what it means to live in the current decade. In short, the Amish just choose not to partake in much of what the modern world has to offer. This is a stark difference from being unaware of modern developments. One of the pressures that the Amish invariably face is the lure of technological advancement. The appeal and benefits of modern technological advancements have always been something that the Amish had to address. However, as the rate of technological developments has increased, so too has the potential appeal of modern of that technology, especially for the young. Technology is changing and evolving at an increasing rate. In fact, the rate of technological change is now seen as being exponential in nature; this means that the potential lure of technology could be harder than ever for the Amish to avoid. 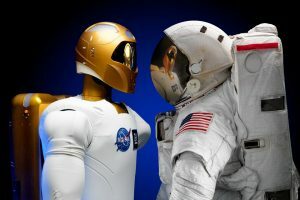 Technological breakthroughs such as nanomedicine, artificial intelligence, human like robots, asteroid mining, large scale space transportation, space colonies and many other scientific marvels that were once in the realm of science fiction are now moving into the realm of scientific fact. Will There Be a Rise in Isolation? In the coming decades the Amish may feel more isolated from the rest of society than ever. The world is rapidly evolving and changing and this could lead to the gulf between the Amish and the rest of society feeling more pronounced than in any other time in history. Additionally, the ubiquitous nature of these technologies are such that they may become harder and harder for the Amish to avoid, for example, flying cars zooming overhead, evidence of space travel in the night’s sky and the list goes on and on. In short, being Amish in the future may prove to be more challenging than it is today. The feeling among some Amish that they are “missing” more than at any other time in history may become more pronounced. Another key pressure that the Amish will likely face in the future is that most of the areas where the Amish live, for example, the United States and Canada are becoming less religious overall. 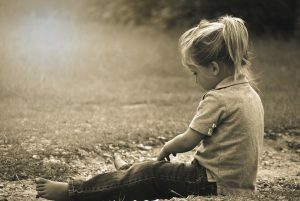 Studies show that Generation X and Millennials are far less religious than previous generations, and this could add to the feeling of isolation that the Amish will likely feel from the period of accelerated technological advancement that we are entering. In the past, the rates of participation in organized religion was higher. 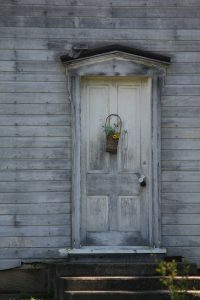 As a large percentage of Millennials move away from organized religion, the Amish may be seen as more “foreign” than with previous generations. While it is difficult to know for certain that this could further isolate the Amish, it is a realistic possibility. The combination of accelerated technological advancements and lower Millennial religious participation rates could put more pressure on the Amish than ever before. The lure of modern society, especially on the young, could become more intense and demanding than anything the Amish have ever faced. There may be other, more difficult to predict, pressures on the Amish in the coming decades as well. The way that the outside world engages in commerce could change. One example of this change could be in the form of a cashless society. A cashless society could, ultimately force the Amish to adopt a certain level of technology in order to continue to participate financially in society. Likewise, the Amish tradition of ending education roughly at the eighth grade level could face pressure as well, as international competition becomes more intense and demanding. While it is of course difficult to predict in the near future, the Amish may be required to educate their children beyond the grade school level. Currently, the Amish face pressure to drive cars, use the Internet and engage in modern society in a variety of ways. However, in the future, these pressures will likely only intensify. To date, the Amish have resisted those changes quite well, but in the future our rapidly changing society may make it much more difficult for the Amish to avoid modern society. It is possible that modern society may change so much that in order for the Amish to have any meaningful interaction with the outside world they may have to engage in a modest level of adaptation. In the past, the Amish have adapted on a case-by-case basis to different technologies. Some Amish affiliation have chosen for example to adopt indoor plumbing, pneumatic tools, chain saws and some mechanical devices such as powered lawn mowers and mechanical refrigerators. In the future, the Amish will likely once again have to evaluate the changing world around them and decide on what is the best response. One great motivator for change could be a shift in how the world at large addresses commerce. For the Amish to maintain their way of life and continue to produce their traditional products for the world, it may be necessary for them to adapt what technology they incorporate into their business practices. Historically, the Amish have proven that they are resilient, capable and independent. In the coming decades it is likely that this decidedly Amish traits will be called upon more than ever. Are There Amish Settlements Outside the United States? The history of the Amish in North America is a multifaceted and complex one. The Amish have been in the New World for hundreds of years, and 2016 marks a special occasion. A recent change stands to add a new page to the history of the Amish community. Developments in Bolivia and Argentina have led to new circumstances that stand to change Amish history forever. The Amish did not originate in the North American, instead their roots can be traced to Europe. The Amish are not Mennonites, but they are closely related to the Mennonite community. This fact has become increasingly important in 2016 as the Amish expand beyond North America. The history of the Amish church can be traced back to Switzerland and 1693. It was in that year that Anabaptist leader Jacob Ammann spearheaded a split that gave rise to the Mennonite and Amish branches. This split has remained to this day. Many Amish families made the trip to the New World in the coming years. Shortly after 1800, several thousand Amish made their way from Europe to North America with hundreds of families arriving. 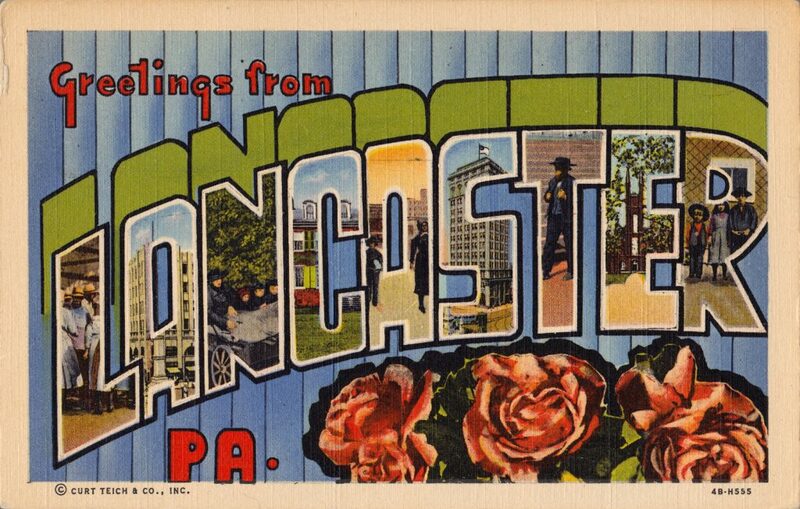 In Lancaster, Pennsylvania, an Amish community was established in 1760 with another community following in Ohio in 1808. In the 18th Century, large numbers of Amish migrated to Pennsylvania. Over the years, the Amish that remained in Europe joined with the Mennonites, leaving North America as the focal point of the Amish community and the Amish world. In short, the history of the Amish in North America is a very long one. When most people think about the Amish, they usually think about the Amish living in the United States. Currently, there are over 300,000 Amish in North America, with the bulk of the Amish living in the United States in Pennsylvania, Ohio and Indiana; however, what many don’t realize is that there are Amish communities in other locations as well. Let’s take a closer look at the Amish outside of the United States. While the vast bulk of Amish in North America live in the United States, there are a small number of Amish living in Canada, particularly in Ontario. 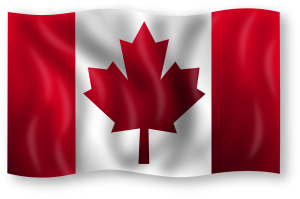 The number of Old Order Amish living in Canada is about 1,500. While Ohio, Pennsylvania and Indiana make up the majority of the Amish in North America, with those states accounting for roughly 190,000 Amish in total, there are several other states with sizable Amish populations. Wisconsin and New York both have around 17,000 Amish residents, Michigan has roughly 14,000 Amish residents and both Missouri and Kentucky have approximately 11,000 Amish residents. In roughly the last 25 years, the Amish population in North America has increased considerably. In 1984 there were 84,000 Amish in North America and by 1992 this number had surged to 128,000. This study growth has continued and today there are over 300,000 Amish in North America. Prince Edward Island, Canada has a small Amish community. The Amish are well established in the United States but have no major presence outside of North America. There have been new developments on this front from South America. 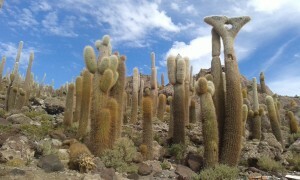 The countries producing the most interest are Bolivia and Argentina. These new settlements are the results of an interaction with Mennonite communities in those countries inquiring about affiliation. 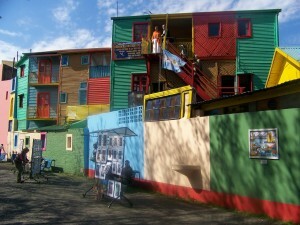 The communities in Bolivia and Argentina have experienced financial problems in recent years and a growing concern over isolation; this resulted in the outreach. In order for the South American communities to move toward integration with the North American Amish communities, the South American communities have taken steps such as the men growing long beards and the women adopting the bonnet head coverings. There could be many potential advantages for the Amish looking to relocate to South America, such an increase in affordable land. At this point it is uncertain what the future holds for those Amish communities; however, history has shown that the Amish people, despite their rejection of modern technology and advancements, are very resourceful. There is every reason to believe that the Amish will continue to thrive in South America as they have in North America. In the last three decades, North America has witnessed a stunning increase in the numbers of Amish people. Thanks to the outreach of Mennonite communities in Bolivia and Argentina, we will likely see the number of Amish in the New World continue to grow as it has done for over 300 years. 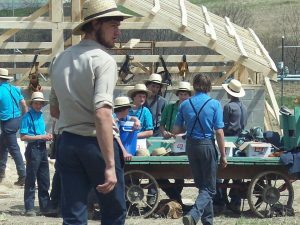 2016 will go down as being a unique one in Amish history, as it was during this year that the North American community marked its first major migration since European Amish arrived in North America hundreds of years ago. The history of the Amish is continuing to be written. These unexpected developments in Bolivia and Argentina in 2016 serve as a reminder of this fact.